We have already given you the best fall looks of 2018, but the seasons are changing. And as we’ve said our goodbyes to rainy sweater weather and pumpkin spice lattes, we’re ready to welcome spring and sunnier times with open arms! 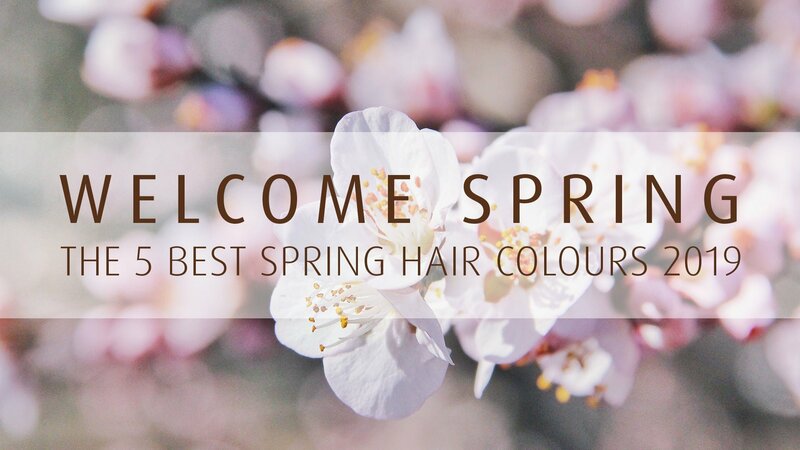 Spring is the perfect time for a restart, and with these 5 radiant spring colour looks you can add new life and beauty into your clients’ lives. There are very few things in this world that come close to the magical sight of a blossoming fruit tree during spring-time, but this peachy colour creation from Brooke Grady has its beat! With the multi-dimensional peachy colour strokes and slight ombre transitioning this is one of our favourite springtime hair trends right now – a must try for anyone who is in need of a change of pace. And as a bonus, you can individualise the nuances and colour degrees and create a completely new, equally gorgeous look that is just right for your client! The base colour was a level 8 copper. Full head of feathered root foils with whitener mixed with 20 vol (6%). Toned roots with ½ 8.3 and ½ peach mixed with 5 vol (1.5%). Ends are toned with 20gr 11.2 and 5g lavender 5 vol (1.5%). Sometimes inspiration is like a single ray of sunshine that barely makes it to you but other times it hits you like a blast of brightness… This look is clearly the latter, giving us all the #walkingonsunshine vibes we so desperately need in spring! We are loving the ultra blonde formula, created by Hair by Amakaye, that perfectly balances the blond dimensions – what a masterpiece. The base colour was level 7. Whitener mixed with 10 vol (3%) and applied 2” away from scalp and processed for 25 min. Dimensions are added to the roots using equal parts of 7.17 and 7.2 mixed with 5 vol (1.5%). Applied on damp hair. Toned with 2/4 9.2, ¼ 0.11 and ¼ 0.22 mixed with 5 vol (1.5%) – toned for 10 min. Spring is nature’s way of showing all its multi-faceted beauty; all the colours sprouting out of seemingly nothing and suddenly the whole world is covered in blooming flowers! How to keep up with that? Simple – This all-time favourite pastel pink gorgeousness from NATULIQUE Ireland’s Timeless Collection will never go out of style! Full head of highlights pre-lightened with 10 vol (3%), 20 (6%) vol and 30 vol (9%) on top. This fiery hot copper is guaranteed to turn heads this spring! We are absolutely loving the combination of the intense colour and the gorgeous shine that Silo Hair Launceston accomplished with this simple formula. This look captures fiery sunsets, as well as elegant beauty and nature’s fierce sprouting spirit. What better way to celebrate spring? ¾ 7.07 and ¼ 7.43 mixed with 10 vol (3%). Subtle highlights and added dimensions are never a bad idea! This beautiful chocolate brunette hair created by Hair by Alice is perfect for the clients who want to welcome spring with a low maintenance style. Wondering which hair colour would perfectly match a wardrobe full of floral outfits and in-between spring dresses? This is definitely the right choice. You can vary the intensity of hues, nuances and highlights for an individualised shiny chocolate dream. Yum! Teased foils on mid-lengths and ends with whitener and 20 vol (6%). Toned with 5.2 and 6.77 mixed with 5 vol (1.5%).